All routes previously serviced by SNCM are now operated by Corsica Linea but can still be booked on this page. You can use AFerry to book an SNCM ferry to Corsica, Sardinia, Tunisia, Algeria and France. 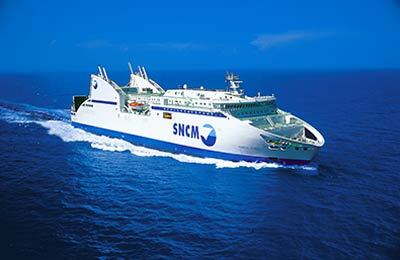 SNCM is a major ferry company in the Western Mediterranean and provide modern well equipped ferries and excellent levels of service. AFerry always has cheap prices for SNCM ferries and the latest special offers. 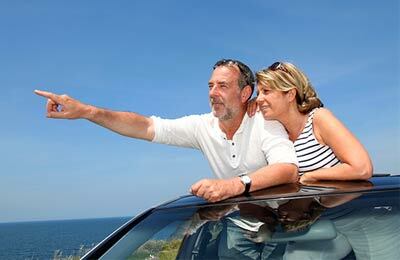 You can use AFerry to book SNCM ferries to Marseille, Ajaccio, Porto Torres, Propriano and more. For all SNCM routes and to see the latest prices and sailing times see below. Click on your ferry route for a detailed SNCM timetable with arrival and departure times. 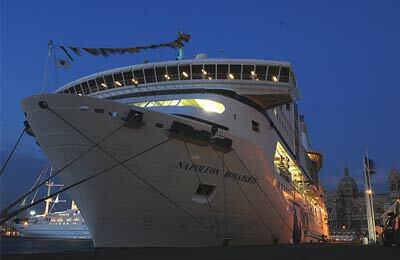 SNCM has a fleet of five passenger ferries, the Danielle Casanova, the Napoleon Bonaparte, the Mediterranean, the Ile de Beauté and the Corsica. Depending on your route you will find a range of restaurants on board, children's areas, bars inside and on deck and some ferries also feature massage parlours so you arrive at your destination feeling completely relaxed. A trip on board an SNCM ferry is bound to be a pleasurable experience. Whether you use the SNCM Marseille Alger route, the SNCM Marseille Ile Rousse ferry, the SNCM Porto Torres line or any other route from SNCM your journey is bound to be nothing but a joy with this well known company. How long before departure should I arrive for SNCM? For Corsica/Sardinia routes, check-in is at least 2 hours prior to departure for all passengers. For North African routes, check-in is at least 3 hours prior to departure for all passengers. Please check your PDF ticket for exact check-in times.